Disfrute de un recorrido privado por la "Venecia del norte" de Rusia, que incluye una visita al Museo del Hermitage. Embárquese en un viaje de 6 horas orientado a la familia a través de San Petersburgo, aprendiendo su fascinante historia a medida que avanza. Comience con un recorrido turístico por la ciudad con paradas en la Catedral de San Isaac y la Iglesia de la Sangre Derramada con cúpulas de cebolla. Camine por la calle Sadovaya, donde se encuentran varios mercados locales y monumentos históricos, y explore el vasto Hermitage, uno de los museos más grandes del planeta, para ver obras de artistas icónicos como Rembrandt, van Gogh, Picasso y más. Explora esta 'Venecia del norte' con toda la familia. 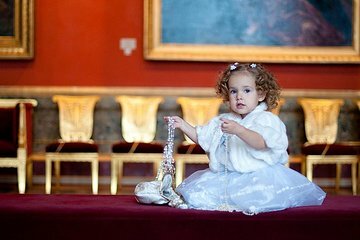 Disfruta de la experiencia de guías con experiencia en tours para niños. Visite el Hermitage, uno de los museos más grandes del mundo. Maravíllate con obras de artistas icónicos como Da Vinci y Monet. Saborea la atención personalizada que viene de un tour privado. We really enjoyed this tour. What a great way to get an overview of the city and its history. Our 6 year old also enjoyed it. Our tour guide went out of her way to include him - she asked him questions throughout the tour, took him to the Knight room at the Hermitage which she had a feeling he would enjoy and she was right, gave him a set of chocolates with pictures of sites around town and told him with our permission that he could eat a piece of chocolate after we visited each site. It was drizzling on and off, and being able to drive around and stop at each site to explore a little made it possible to see more than we would have had we been on our own. Our guide was very knowledgeable and was able to pass on her knowledge without it being overwhelming. I highly recommend this tour for anyone, but especially to families with young children, as this was an easy way to tour a city without being overwhelmed. The tour was excellent. We were really able to explore all the main beautiful sights that St. Petersburg has to offer. Our guide was very friendly, informative and spoke very good English. I would definitely recommend this tour!